Doors are a necessary part for the entrance of any home so why not make a first impression that makes a statement? 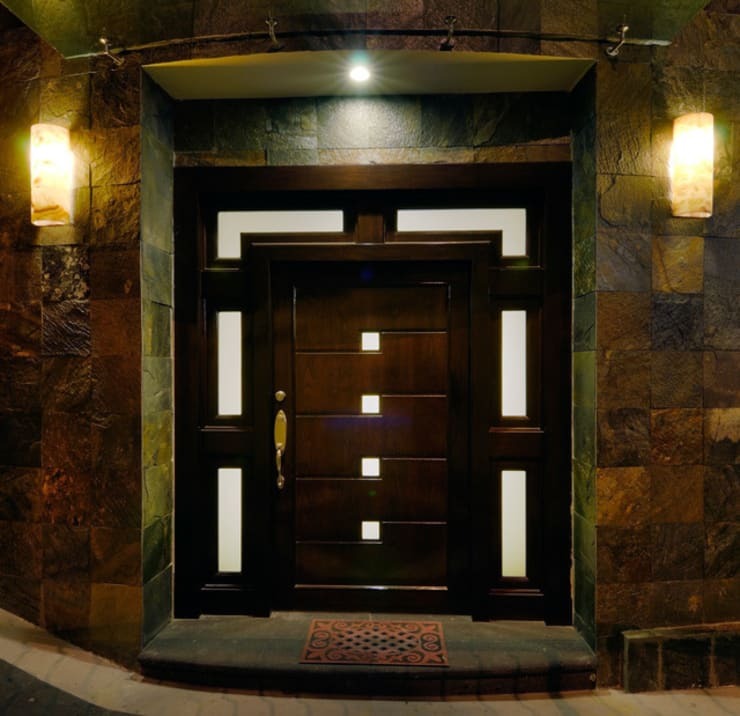 Designer doors are a great way to bring eye-catching design value to a home. Set the tone for the rest of the home with a unique designer door. They can be classic, modern, colourful, eclectic and more. These great ideas for designer doors are for anyone looking to add drama and unique personality to their home. A pop of colour is a great way to add style and personality to the entrance of a home. This designer door brings eclectic style to the front of this home. 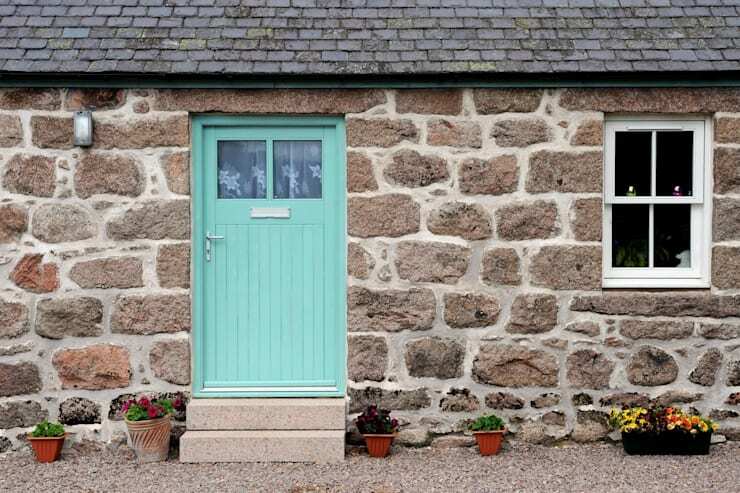 The colour is a beautiful teal shade which really stands out against the stone walls of the exterior of the home. The door also has a great texture with ribbed lines and silver finishes. There are two small windows at the top of the door, adding to the style. This door feels welcoming and inviting, becoming a designer door that will be one guests will never forget. This unique designer door is truly special, with its horizontal planks of wood. The wood is a rich, deep collie with reddish tones. The wood planks are not air tight, as there is a bit of space between each one, allowing natural light to flow inside of the home. The door is hinged at the top to a gold bar. This allows for the door to slide open, instead of s more traditional open and close. 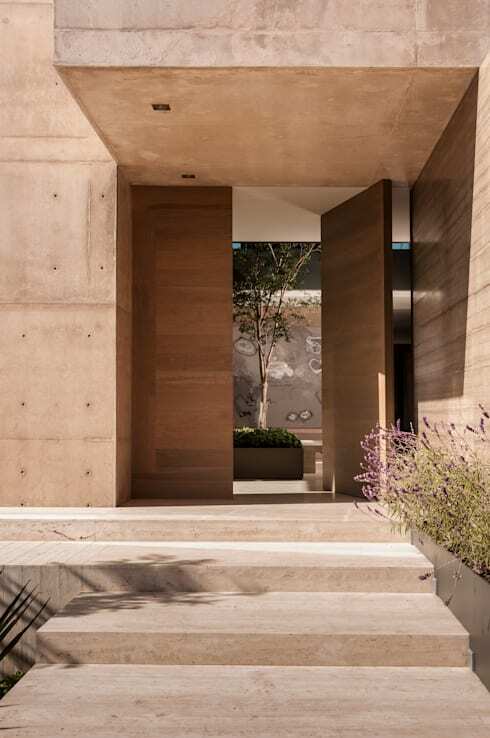 Finally the truly unique part is the designer door blends right into the walls of the exterior of the home, creating a seamless, invisible look that is truly of high design value. For a grand entrance, double doors are always the way to go. These double doors create a regal entrance that is grandiose in design, but also has a great modern and minimalist element. The doors are made of a beautiful dark wood colour. The doors are smooth and sleek and don't have any knobs or finishes. The doors open inward, finishing off a grand entrance created by two unique designer doors. This designer door is truly eye catching and unique. At its base the door is created with a deep brown wood colour, made with horizontal plants that add texture. 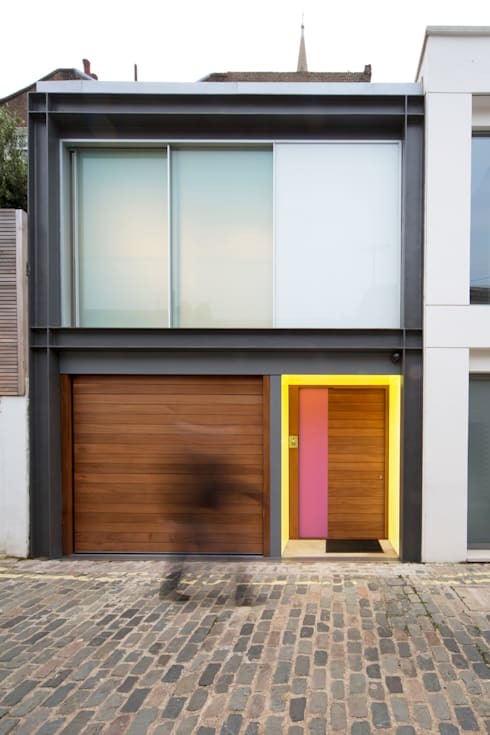 The door is then outlined in a bright yellow, so eye catching and modern. Finally, the door has a vertical pop or colour. There is a pink panel that looks great with the yellow frame and dark wood panels. The end result is a unique designer door that is fit for anyone with a great modern flair for design. 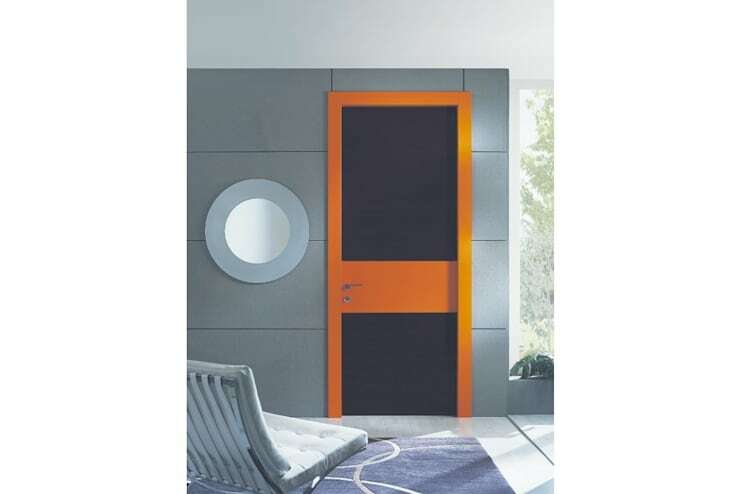 Make a first impression built to last with this super sleek modern designer door. The door uses two colours that work really well together, grey and orange. These two colours always look fashionable and modern as a pair. This designer door is no different. The base of the door is a sleek dark grey. The door is then framed with a deep orange. The orange continues with a strip in the middle of the door, thick and prominent. The door really stands out against the light grey shade of the house. This designer door is s beautiful and unique entrance point for any modern home. This designer door makes a bold statement with colour. The door is a deep, bold blue colour, definetly eye catching. The door is slim in nature with silver finishes. To the right of the door there is a panel of four windows they are framed in the same cobalt blue colour. Together, this door packs a powerful punch. This is a unique designer door for anyone who wants to create an unforgettable entrance to their home. 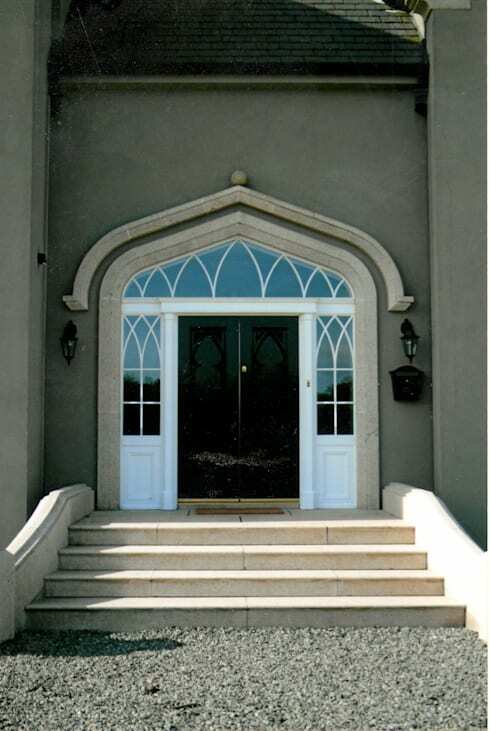 This entranceway screams elegance on grand levels with this unique designer door. The double door is created from a very dark brown, rich wood that feels very grand in itself. The door has gold finishes, including a high door knob. Both sides of the door have beautiful window designs set in white. 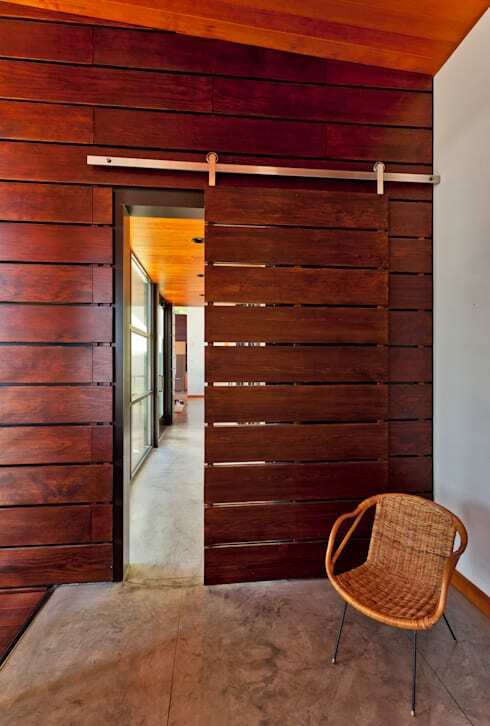 This design is continues to the top of the door, looking beautiful while also allowing for light to flow into the home. Finally the door structure is framed in a stone design. This finishes off the grand design, creating a unique designer door that looks good enough to be the entranceway into a castle, or at least a mega mansion! For an unforgettable entrance, this unique designer door succeeds big time. The door uses geometric shapes to create a unique, eclectic look. 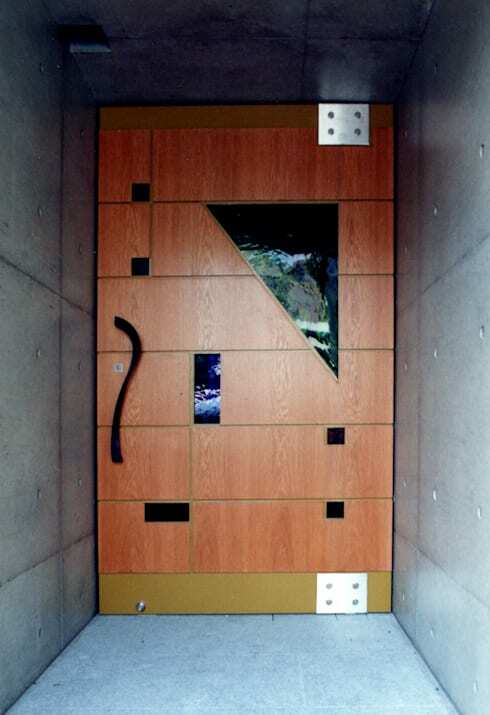 The door is based in a medium wood colour. There are various shapes and designs cut into the wood including small squares, rectangles and a large triangle. The door knob has a unique design as it is a long, curvy line in shape. The door then has large silver hinges which gives the door a modern feel. Finally the bottom of the door is created with a gold steel, adding more colour and texture to this eclectic and unique designer door. 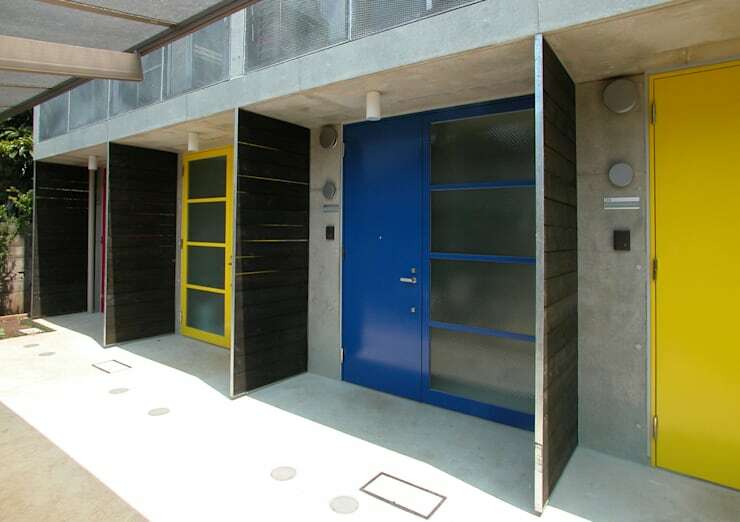 This unique designer door plays with the cool colours of the exterior of the home. 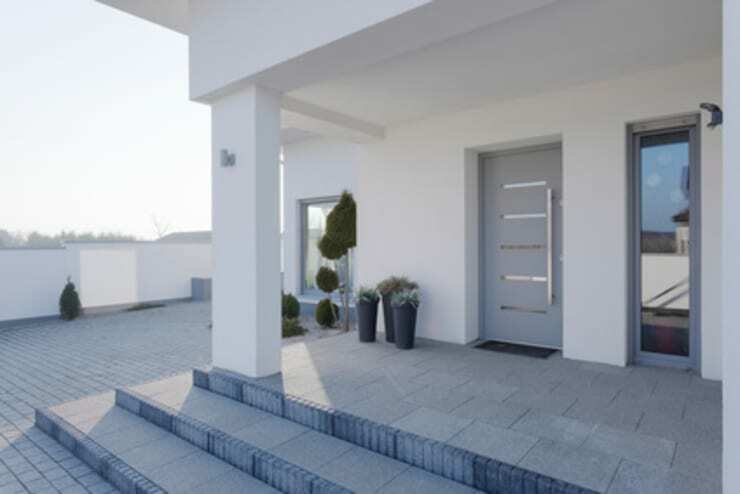 The door is a sleek and modern light grey, which is a similar shade to the stone tiles of the exterior ground. The door has peeks of glass window , with five very slim rectangles that allow for light to flow into the home while creating a modern design. Finally there is a large, sleek handle bar, finishing off a very modern designer door. Integrate cool shapes and deep colours for an attention grabbing designer door. This door uses a rich, dark brown colour to create drama. The door then has several small, square windows cut into the center in a perfect vertical line. More shapes surround the door, long and slim rectangles. The shapes really stand out against the dark wood and creates a unique designer appeal. Do you have a favourite unique designer door? Let us know!